Here’s a timeless princess cut diamond engagement ring that you won’t get tired of looking at on your finger! 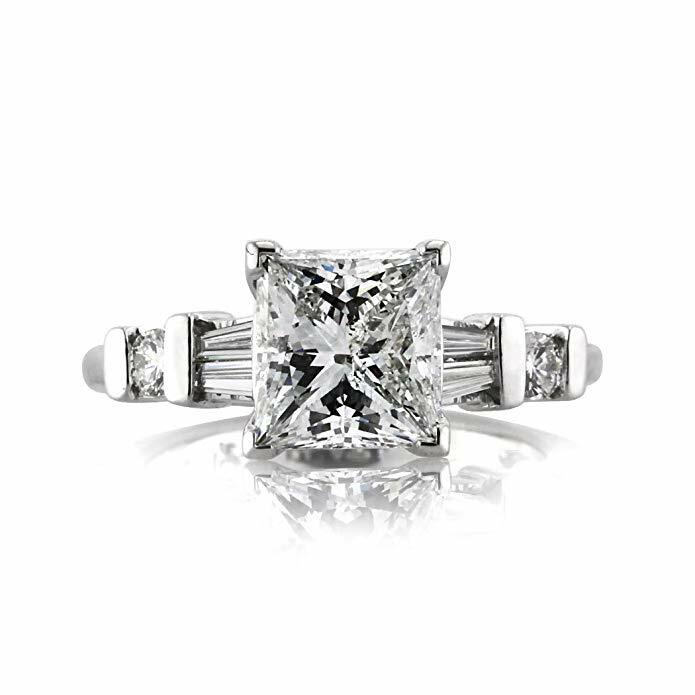 The 2.02ct princess cut diamond is set on a classic platinum setting set with baguette and round brilliant cut diamonds. The two carat center stone is GIA graded at F-SI2, incredibly white and super sparkly. Proportionally beautiful, great size, and ageless design, this princess cut diamond ring will be treasured for generations to come.